I am using this opportunity to welcome everyone to this special month of November. As the curtain draws near to the end of the year, I hope everyone is basking in good health and counting their blessings for the year 2014!!! In my quest for healthy eating, I have decided to share recipe on a very healthy and delicious meal... Plantain Porridge! Plantain is amongst the cultivars of the genus Musa whose fruit can be eaten raw when ripe or cooked when still unripe. The Filipinos call it Saba, Greek call it αρνόγλωσσο, Europe, Americans and Africans call it plantain. Some countries use the shoot for preparing different cuisines and the leaves can also be used for wrapping food or for other purposes. Plantains fruit all through the year round and they remain a major staple food in countries like Philippines, Africa, Central and Southern America and the Caribbean Islands. It's low fat and high starch content renders it suitable for geriatric patients and also for those suffering from gastric ulcer, coeliac disease and colitis. Unripe green plantain has a glycemic index of 40 and the boiled green plantain has a Glycemic Index of 38 thus not capable of rapidly raising the blood sugar after consumption. An article on The American Journal of Clinical Nutrition site supports that although plantain has a high content of carbohydrate unlike potatoes, yet it is more tolerable in diabetics treatment. 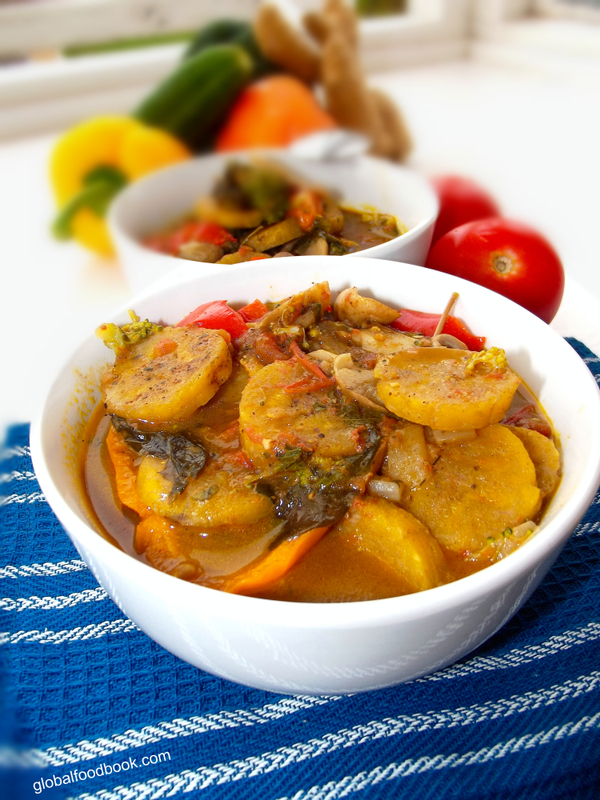 Plantain porridge on the other hand, is a very delicious and healthy dish especially when combined with assorted vegetables, however it is optional not to cook with vegetables. The first step for preparation involves peeling the plantains, washing and then cutting them into tiny bits or according to desired shapes and sizes. 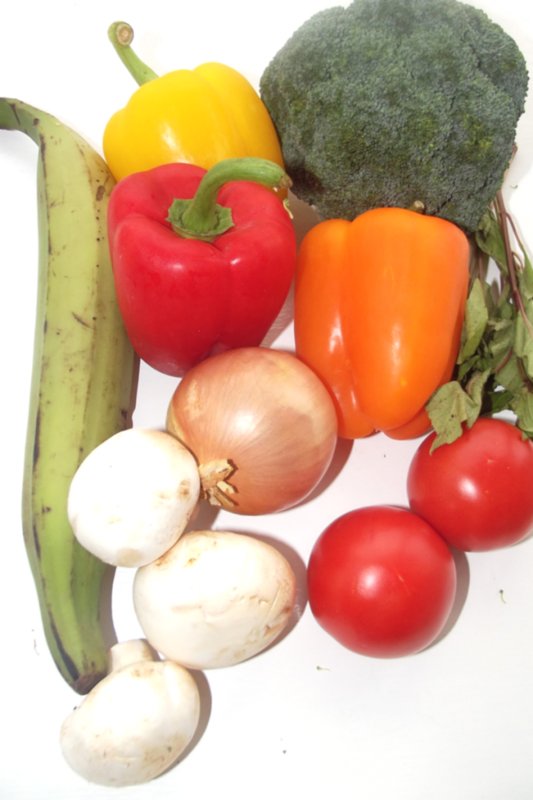 Then add all the cooking ingredients together and cook until the porridge is thickened and plantain properly cooked. It is such a tantalising and yummy dish to behold and I encourage you to try out the recipe. Peel and wash the plantain, then cut into desired sizes and shapes. 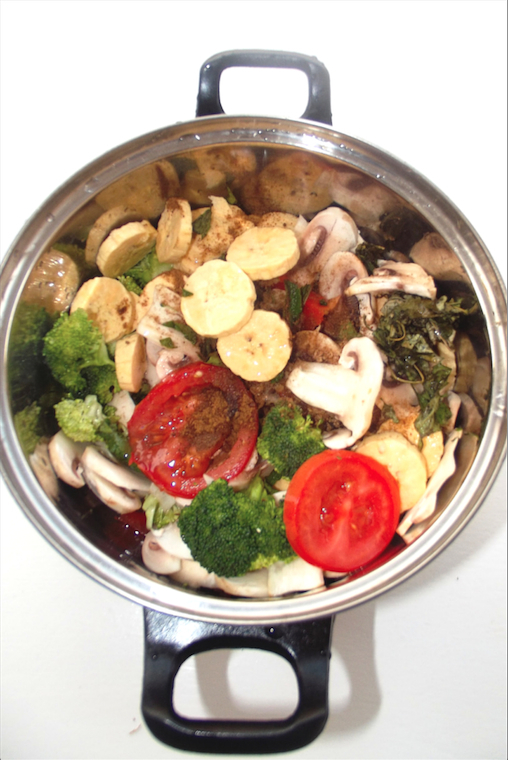 Add into a cooking pot and add water and all the listed ingredients above. Cook under medium heat until the porridge is thickened and plantains tenderly cooked. Bring down from heat and serve warm.